Morne Stars’ Allana Paul On US Scholarship! Press Release:- Yet another member of Morne Stars Athletics Club is off to the United States on an athletics scholarship for the new academic year. 20-year-old sprinter Allana Paul is now on a full athletics scholarship from Briar Cliff University in Sioux City, Iowa. The multiple national champion will be pursuing a four-year degree programme in Kinesiology at her new school. Under BCU’s new Director of Track and Field and Cross Country, Scott Barnes, the Castries Comprehensive Secondary School (CCSS) alumna will take aim at the Chargers school records in the 100m, 200m, and 400m. She will also hope to have an impact indoors and out at the Great Plains Athletic Conference (GPAC), and the National Association of Intercollegiate Athletics (NAIA). A triple individual gold medallist at the 2017 Windward Islands School Games, Allana was the top scorer in track and field for two years in a row at the four-nation multidisciplinary competition. She won the 400m and 200m at that meet in 2016, having also won the national title in the women’s 400m, and national junior titles in the 400m and 200m. 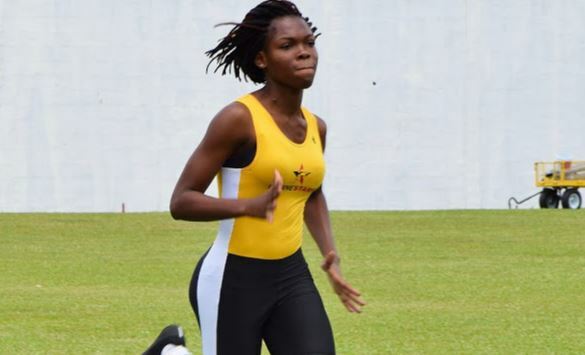 For two years in a row, Allana has been adjudged the Morne Stars Athletics Club’s Female Track Athlete of the Year, as voted by her teammates and coaches. She serves as a mentor and role model to many of the younger athletes, especially her litter sister, Aaliyah, a talented sprinter in her own right, and a student at CCSS. Other members of Morne Stars Athletics presently on scholarship in the United States include jumpers Daren Defreitas, Desran Desir, Kevin Norville and Udoka Constantine. Djal Augustin, Marva Herman and Nicole Montoute, all three of whom are also national footballers, earned scholarships this year through the Free Kick Foundation.